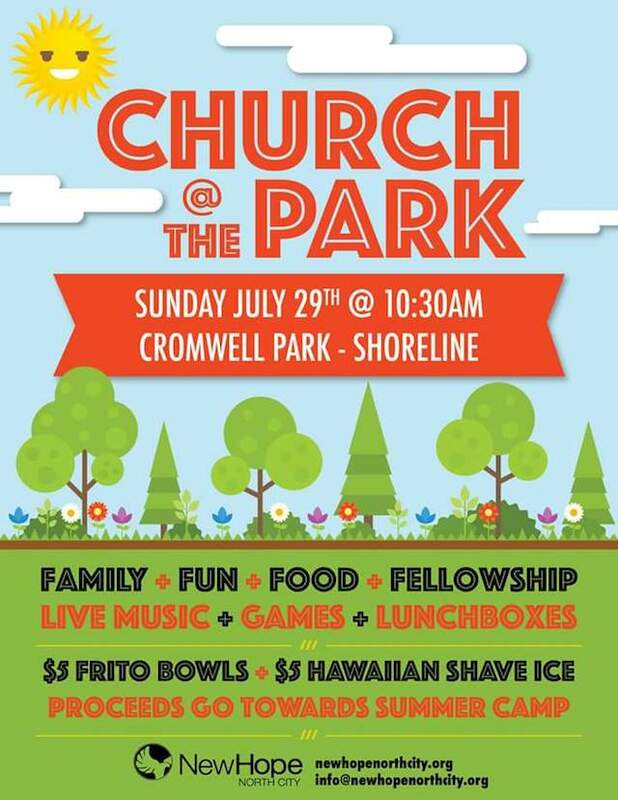 Mark your calendars for even more outdoors family, fun, and fellowship at our next Church in the Park event on Sunday, July 29, 2018 at Cromwell Park in Shoreline - 18030 Meridian Ave N, 98133. Our youth will be selling Frito bowl lunchboxes and Italian sodas to raise money for summer camp. And we'll have live worship music and games for the whole family to enjoy. Invite your friends and family to come out and enjoy some fun in the sun this summer!